Today is Wednesday, Sept. 7, 2011. 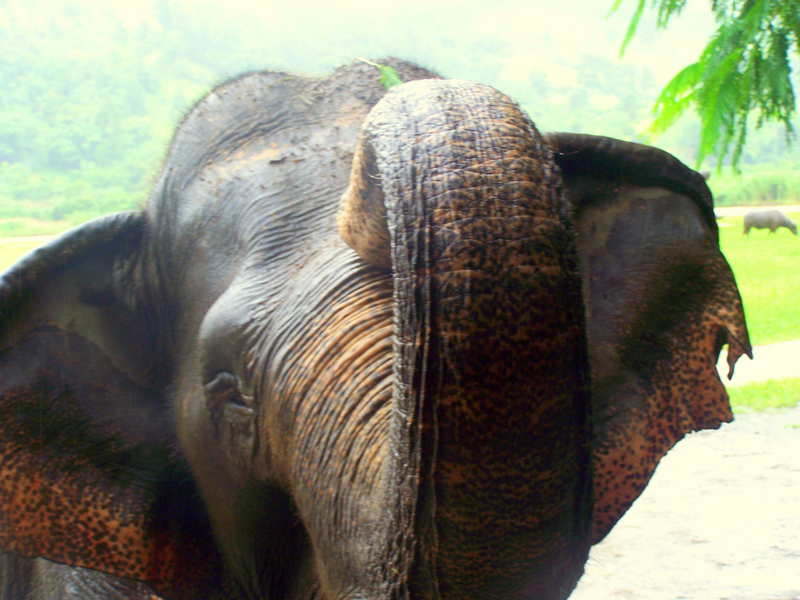 I have been just outside of Chiang Mai for nearly three days … living in the midst of elephants. Only, these aren’t the normal Thai elephants people see when they come to Thailand. These are the lucky ones. Most of these are elephants who have been saved from the hardships and abuse in order to make a bhat. To say this experience at the Elephant Nature Park is amazing sells the experience short. This experience is life-changing. Eye-opening. I promise you in the next few weeks and months, this story will unfold here and other locations … you will learn more about the Thai elephants than you thought possible. My goal: to help change the behavior of tourists visiting this country. But, for now, here is a photo of one of my favorite ele’s at the park, Jokia. She was blinded by her mahout (owner). She was bought by the park — one of the first — and lives out the remainder of her days with love, affection and in the hands of a mahout who will never raise a hand (or instrument of pain) to her again. She is so cute! Awww man we just might have to make a visit over there, maybe not for a week but at least to show them some love. So glad you’re having a great time! I have NEVER been more jealous in my entire life. You’ll just have to go!! Lucky for me Thailand is on my list and I can’t wait to read more about what you are doing there. Sounds like its going to be an amazing experience for you and something I am seriously going to consider looking into when I make my way there! I’ve heard about this park and am so in love with it already. I love elephants, and that one is just so beautiful. I look forward to reading more about your time there! Thank you, Faith! The park is nothing short of amazing. There will be plenty of posts coming in the next few weeks about my time there, and, of course, the elephants! I just don’t understand why anyone would blind this animal! Makes no sense to me but appreciate you sharing this photo with us all. I agree with you Debbie, its really hard to understand why someone would do that! The abuse the elephants are subject to starting at such a young age is heart-wrenching. I doubt if people knew about what they must go through in order to be at a trekking camp, etc., they would support it. Hence, the reason I am going to be doing quite a few posts in the coming weeks about this and hope my readers can spread the word and educate others about the practices in Thailand. Thanks. There will be a lot more to come in the next few weeks … and not all of it will be easy. What a beautiful animal! I’m so glad to hear that the experience is everything you hoped it would be (and possibly more!). Its really sad to hear that a person could do such a thing to an animal. I am glad she found a home and will never be tortured again. Elephants are a big part of Thailand and a truly a treasure! It is terrible. Being with them and learning about their stories was so hard to endure and uplifting at the same time. I took comfort in knowing they would never have to undergo abuse like that again. Looking forward to your future posts on the elephants. I had some good exeriences with them when I was based in CM for a while. Is she blind in both eyes? I can imagine that meeting a new owner AND you’re blind had to be difficult in the rehabilitation area. Yes, her owner shot out both of her eyes. I can’t imagine it either. She has been with the park a long time now, and she has a best friend, Mae Perm, the first elephant to live there. Mae Perm takes good care of her, guiding her and keeping her calm. Plus, Jokia’s mahout is wonderful to her, as are the volunteers and staff. They make her days a lovely place. I’m hoping to head back to Chiang Mai in November, and I would LOVE to go here. I had the chance to do elephant rides a couple of times, but couldn’t do it when I saw the conditions they were kept in. Nice to see at least one place do the right thing. I’ve heard of some questionable tourism with elephants in Thailand, it’s good to see someone trying to help the animals. The entire industry is questionable. 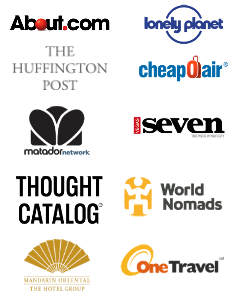 There are companies that tell the tour bookers lies about the ENP so they don’t book their tours. There are companies who say they are friendly to the elephants, but the truth is, so long as they are kept chained, have to accept riders, do tricks, paint, etc., the conditions are not friendly in the least. A great goal! I look forward to seeing more adorable pictures and learning about how this problem is being addressed. You are going to definitely know more than you ever wanted to know about Thai elephants in the coming weeks!! And, heaps of photos! !